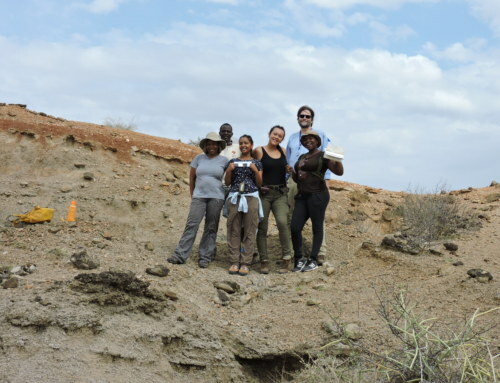 The Spring 2015 TBI Origins Field School students have been on four-day trip to Mpala Ranch located on the Laikipia plateau north of Mt Kenya. 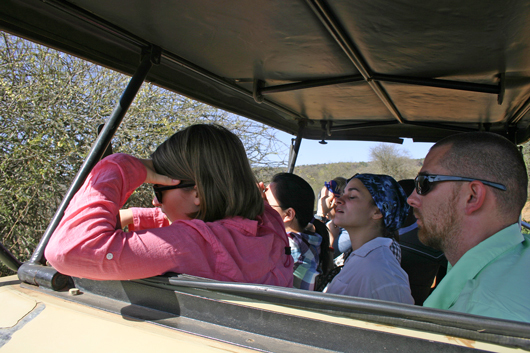 We have had an amazing safari so far – learning about and encountering many different species of plants and animals, exploring different habitats, climbing small rocky hills, watching birds and insects and starting to think about how all of these amazing creatures are interconnected and how they have come to be here today. 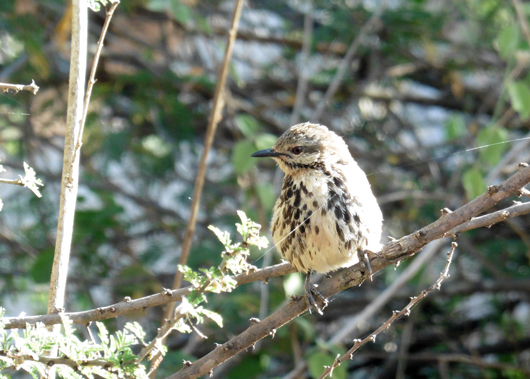 Each day we’ve been roused by a symphony of birdsong, led by the Spotted Morning Thrushes whose melodious singing is a joy to wake up to. As it is the dry season, many of the birds are concentrated in the riverine vegetation where we are staying in a campsite. 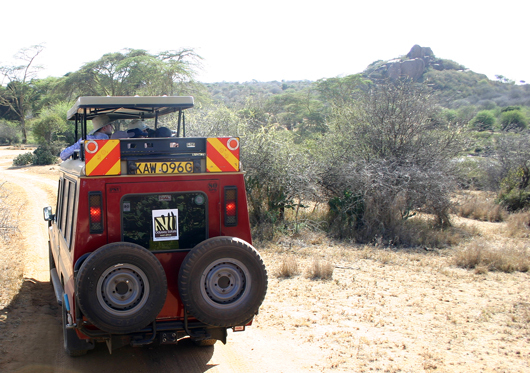 The students have been spending most of the day driving around and taking short walks to look at different animals. Heading off in search of adventure! The first stop was to learn about vegetation and how to measure and define different kinds of habitats: woodland, grassland, bushland etc. 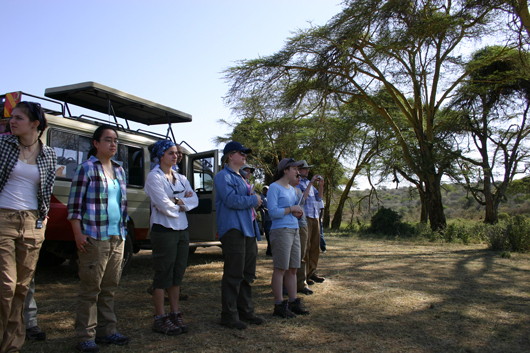 We stopped in the shade of some ‘Fever Trees’ (Acacia xanthophloea) which grow along the rivers in this part of Kenya. 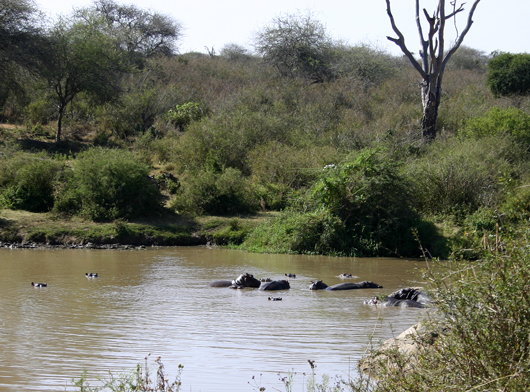 Nearby a family of hippos were frolicking in the river after their night out grazing on riverine plants. 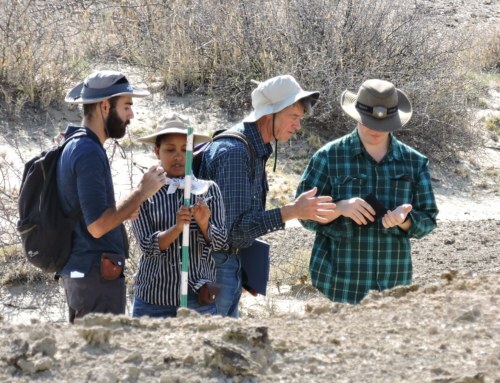 Students learned about the importance of these animals in shaping the physical structure and ecology of the river and riverine habitats: one of the key components are the nutrients from the more-than-abundant hippo dung that are essential for the algae, insect and fish communities in these habitats. 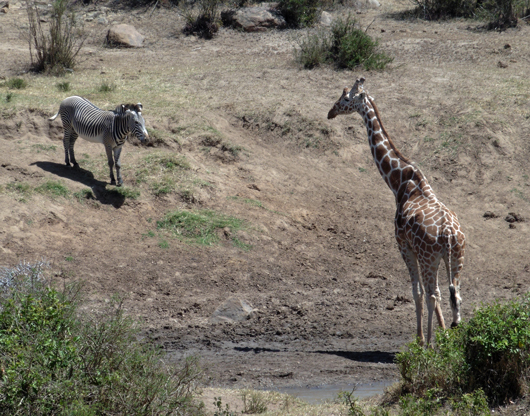 As it is the height of the dry season, many different animals can be seen coming to drink from the river during the day. 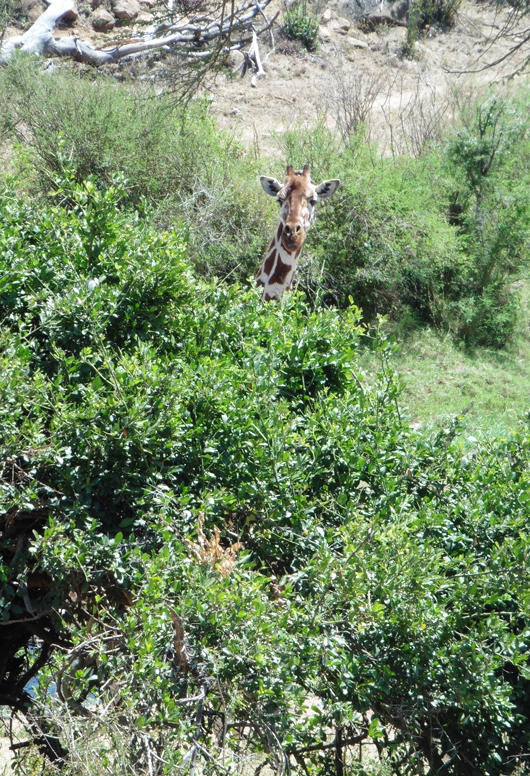 These include the elegant reticulated giraffes and striking Grevy’s Zebras, who are one of the rarer species we got to see. 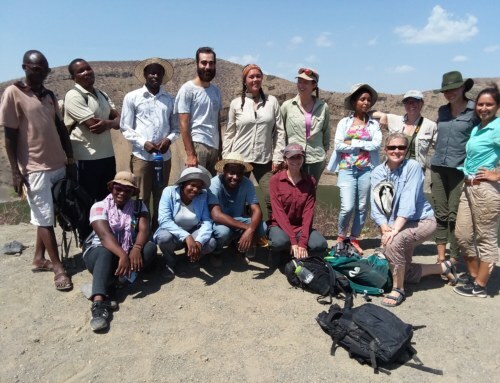 We have also been very lucky to spend time watching family groups of elephants, learning about their ecology and how they survive in these semi-arid areas. Students have been learning about how important these grazing and browsing animals are in terms of the landscape and ecology. Elephants are quite literally, ecosystem engineers, shaping the vegetation by feeding on trees, like they are here on a species of Wait-A-Bit acacia (Acacia mellifera). The older matriarch was the one breaking off branches and deftly using one of her front legs, holding them down to strip off the bark, which is a favourite food of the elephants in the dry season. 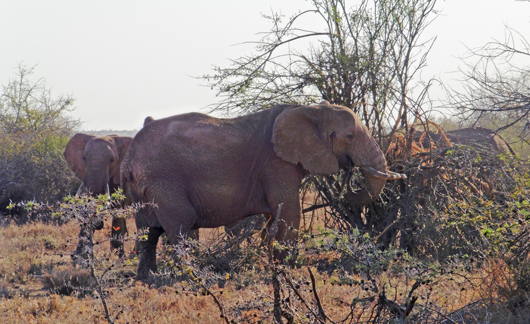 She conveniently dropped extra branches on the ground for the younger elephants to feed from. 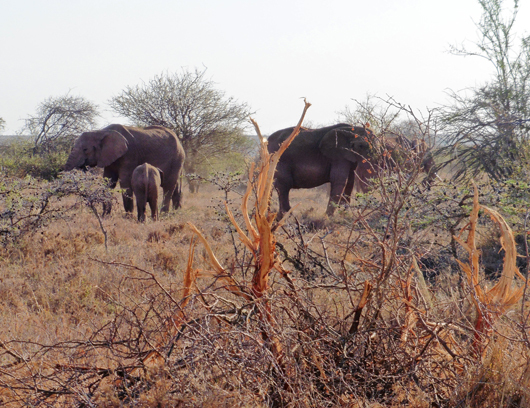 This action of elephants creates a more complex habitat by limiting the spread of bushes, allowing grasses and other species to flourish that might have been overshadowed by the acacias and other woody vegetation. At a landscape level, this creates more diversity of micro-habitats and allows for a wider range of species to survive. 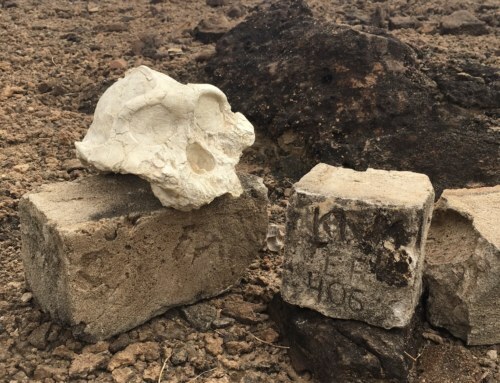 Elephants are true ecosystem engineers shaping the landscape! 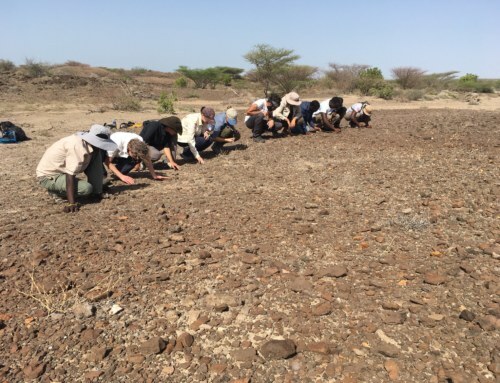 More soon from the Spring 2015 Origins Field School – as tomorrow we make the journey up to Turkana!